Manchester United have been dealt a major blow in their pursuit of Tottenham Hotspur defender Toby Alderweireld, with Barcelona entering the race his signature, reports the Independent. The 28-year-old has an uncertain future as no progress has been made on extending his contract that is set to expire in less than 18 months. 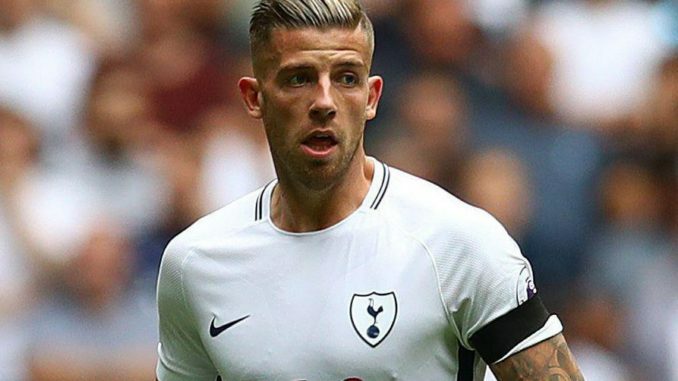 Alderweireld has made over 100 appearances in all competitions since leaving Atletico Madrid for White Hart Lane but has been rebuffed in his attempts to land a £180k-per-week contract to stay at Tottenham. This could open the door for Manchester United to sign the Belgian international, although Barcelona’s interest could prove a stumbling block in them signing Alderweireld, whose value will drop to £25m next year. The Catalan giants have Gerard Pique and Samuel Umtiti who have formed a formidable defensive partnership this season, with Barca conceding just 12 goals in 25 games in La Liga. However, Pique is now 31 and will need replacing sooner rather than later as a result. United have a lot of defensive options – Phil Jones, Chris Smalling, Daley Blind, Eric Bailly, Victor Lindelof and Marcos Rojo – but only Lindelof, Jones and Bailly look to have a future under Jose Mourinho, meaning a new face will be required in the summer. Negotiating a deal with Spurs chairman Daniel Levy might put off the Red Devils, however, as he’s notorious for driving a hard bargain and longing out transfers until the final day.